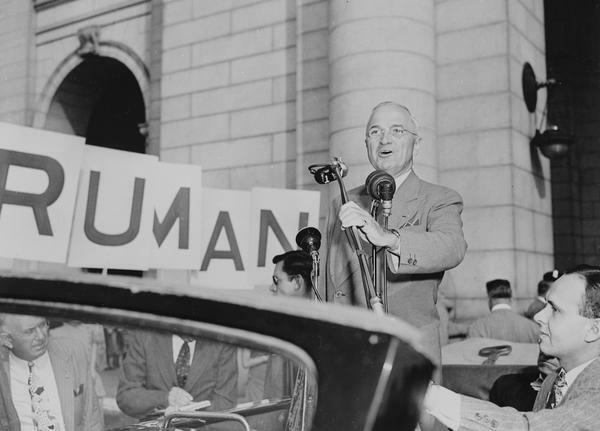 President Harry S. Truman standing in an open car, speaks to a crowd in 1948 in Washington, D.C. President Truman had just returned from a campaign trip. The effort to get a full-sized statue of Truman in Statuary Hall began well before McCaskill, a Democrat, or Blunt, a Republican, were even in the Senate. Fifteen years ago, the Missouri General Assembly voted to replace Blair’s statue with one of Truman, setting in motion a nine-year process that resulted in a 2011 agreement between then-Gov. Jay Nixon and the U.S. Capitol’s official architect, who oversees the art allowed in much of the historic building. The institute’s executive director, Alex Burden, said a sculptor has yet to be selected, but preference will be given to artists with Missouri ties. He said he expected it will be at least a year before the statue is completed, noting that the design must be approved by the Capitol. Aside from the fact that the 33rd president is the only one from Missouri, Burden noted that historians generally have ranked Truman among the nation’s top presidents. His key accomplishments include his efforts ending World War II and overseeing the rebuilding of Europe with the Marshall Plan. Truman will join three other presidential statues — Ronald Reagan (California), Gerald Ford (Michigan) and Dwight D. Eisenhower (Kansas) — in the historic hall. Each state is allowed two statues of famous citizens. It’s unclear what will happen to the statue of Blair, who was a St. Louis lawyer and a slavery opponent. He was elected to the U.S. House in 1852, lost his seat in the 1858 election but won it back in 1860. 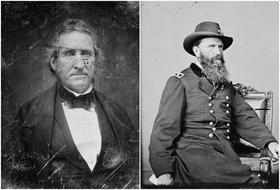 He became a major general for the Union forces and is credited with helping to keep Missouri out of the Confederacy. Blair was an unsuccessful Democratic candidate for vice president in 1868 but was chosen by the state legislature for the U.S. Senate in 1871. He lost the seat in an election in 1873 and became ill that same year. He died in 1875. Blair was a close friend of Benton, the great-uncle of the artist who painted murals in the Missouri Capitol. Benton was one of Missouri’s first members of the U.S. Senate and was an outspoken opponent of slavery. He lost his seat in 1850 because of his anti-slavery views, historians say. So far, there’s no talk that Benton’s statue will lose its place in the U.S. Capitol. Will the long-sought move be sidelined? But that could change. About two weeks before McCaskill and Blunt issued their endorsement of the Truman statue, Missouri's six Republican members of the U.S. House sent a joint letter to Gov. Eric Greitens and Republican legislative leaders, asking them to review the plan. At issue, the letter said, was the plan to remove Blair's statue out of the U.S. Capitol. The signers included U.S. Reps. Ann Wagner of Ballwin and Blaine Luetkemeyer of St. Elizabeth. Both of their districts include part of the St. Louis area. In the 15 years since the General Assembly first backed the Truman statue, "a lot has changed,'' the congressional letter said. Left unspoken is that the fact that when the 2002 vote was taken, the Missouri House was under Democratic control. Because action has been so slow, "clearly this effort has lacked enthusiasm,'' the letter said. "...Given that, we ask that you reconsider the removal of the Francis Blair stature from the United States Capitol." So far, Greitens and state lawmakers haven't signaled any plans to revisit the decision that would put Truman's statue in Statuary Hall. Missouri Senator Claire McCaskill stood on a stage at Park University Thursday and took questions from some of the several hundred people packed into the majestic college chapel. It was the latest in a string of town halls she's holding around the state. The Senator was in Sikeston and Hannibal earlier in the week. On Friday she’s scheduled to be in Springfield and Rolla. The two-term Senator, a Democrat, has made it clear she plans to run for re-election in 2018. 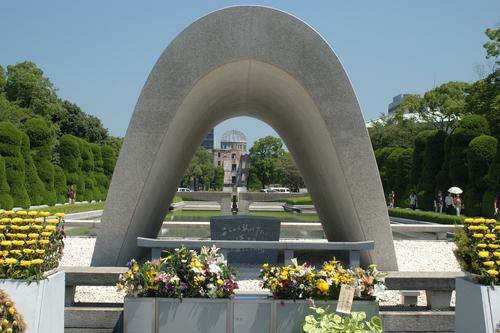 You’d have a hard time finding someone who feels more strongly about nuclear disarmament than the former mayor of Hiroshima, Japan. 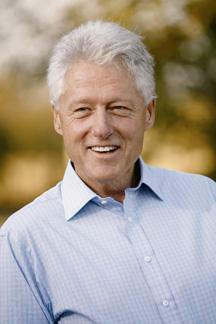 Former president Bill Clinton was in Kansas City to receive the 2013 Harry S. Truman Good Neighbor Award, which is presented every year on President Truman's birthday. Clinton told the 1,000 persons attending the luncheon that the award was a fitting reminder of a president who was an active force in creating the United Nations and the Marshall Plan.